This page started out with just a basic map of Hua Hin. With the advent of Google Maps, we’re able to offer much more. Below the two maps of Hua Hin are now maps of nearby areas including Pranburi, Samut Songkhram, Ratchburi, Khon Kaen and now Korat. These are all works in progress and more will be added as time allows. 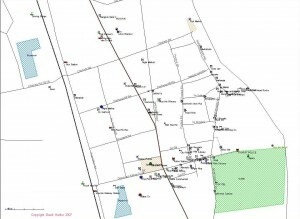 In addition to these maps, each page on The Hua Hin Pages offers links from items of interest to individual Google Maps. For example, the photo pages feature maps of where the photos were take. 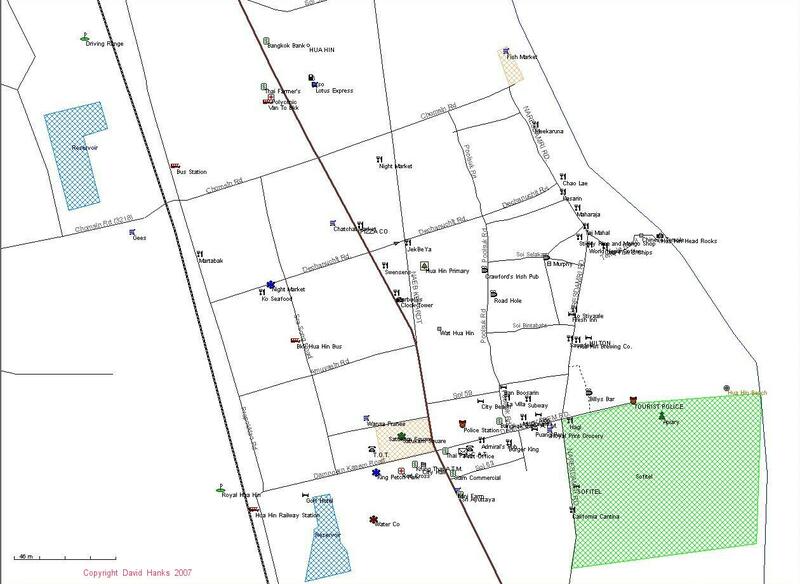 Another example, the Living In Hua Hin page, has links to maps showing where places mentioned are located. We like maps; figure some of you might also. The first two maps are of Hua Hin, Thailand. The top one is the familiar interactive Google Map. I have entered over 300 points of interest (POI) and am adding more daily. No one is paid for these POIs so no site is ignored because they don’t pay. If you would like to suggest a POI, let me know. In case you’re not familiar with interactive Google Maps, you can click on a POI and the map will re-center on that point. You can click on the “-” and “+” icons to zoom out or in. Moving the mouse while holding the left key down allows you to scroll the map. You can even click on a site and then tell Google where you are and it will create a route map telling you how to get from your site to the selected point. Neat, huh? Enjoy wandering around Hua Hin and Cha Am. The lower map is a map that I made using my Garmin GPSr. It can’t compete with the Google Earth Map for quality but it just might be easier to print out to carry with you as you wander around for real.